Dental Veneer Patients shouldn’t have to wait for a fantastic smile. Thankfully, thanks to another Winning Smiles dental hero, Pascal Magne, they don’t have to. In fact, Veneers are the most asked about cosmetic dental treatment after whitening (which is usually better for discoloured teeth). But there can be a problem….. Most dentists know how to make perfectly functional temporary crowns. Temporary veneers on the other hand are considered a bit of a black art (if they are considered at all). 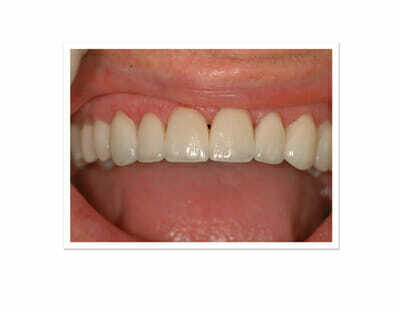 Veneers require the removal of a thin layer of enamel from the tooth. And what happens when (even) a thin layer of enamel is removed from a front tooth? The yellow dentine starts to shine through. After committing to veneer treatment, the last thing you want is to come out looking worse -even for a few day! (let alone a few weeks. )… We don’t ask our patients to stand for that. Pascal currently works and teaches at the University of Southern California and is world renowned for his veneer knowledge and research, and has written THE book, my ‘Veneer-Bible’. Pascal outlines a beautiful technique to produce temporary veneers for patients, whilst waiting for their permanent porcelain [Pascal also teaches how to produce and prep for perfect permanent veneers of course!!]. They look better than the patient’s own teeth. They come off fairly easily when the time comes to glue the permanent ones on. Well preparation time is longer – but instead of waiting for a couple of weeks, the patient gets instant improvements. We think it’s worth it.